Over 150 investors, business leaders, the diplomatic community, and representatives of family offices and foundations in South East Asia joined exclusive discussions on 12 to 16 November. Impact investing is defined as investments made with the intention to generate positive, measurable social and environmental impact alongside a financial return. 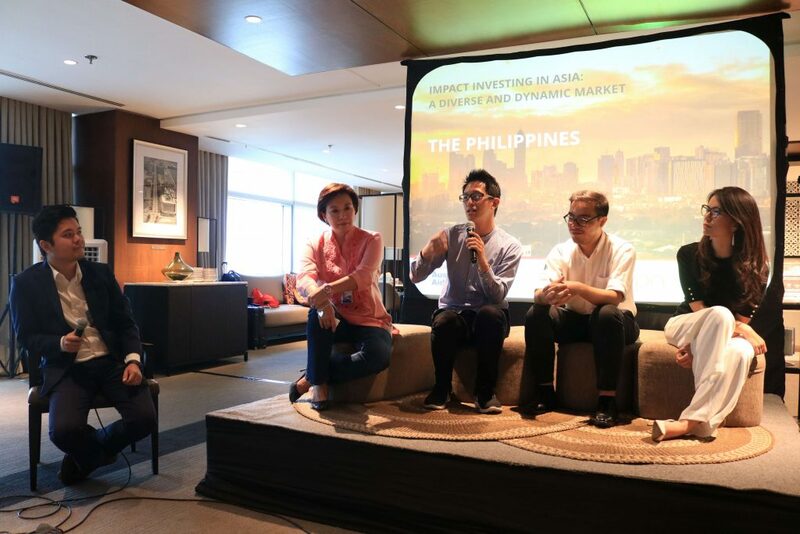 Three separate events in Manila, Jakarta and Ho Chi Minh, called “Impact Investing in Asia – a Diverse and Dynamic Market,” brought together prominent members of the business, philanthropic, and investing community to discuss the future of impact investing in South East Asia. 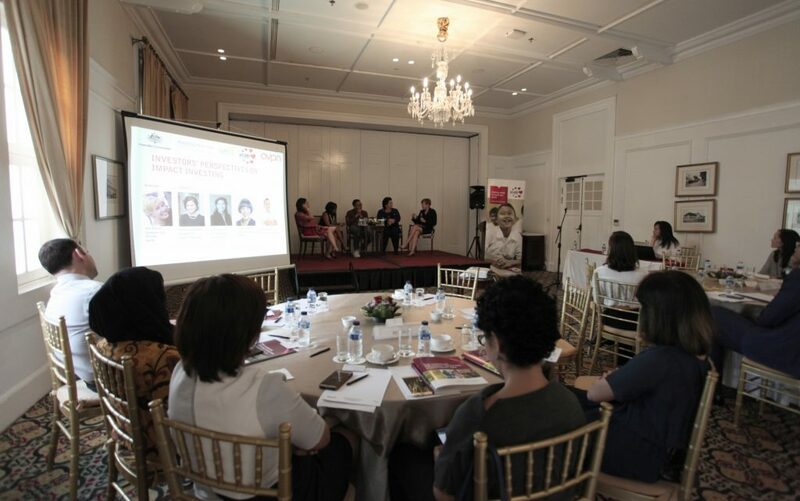 The events were led by Investing in Women, an initiative of the Australian Government, in partnership with the Global Impact Investing Network (GIIN) and the Asian Venture Philanthropy Network (AVPN). It was co-hosted by the Ayala Foundation in the Philippines, YCAB Foundation in Indonesia, and Standard Chartered in Vietnam. They featured an overview of the global and regional impact investing market by the GIIN, which launched during the events its latest research, The Landscape for Impact Investing in South East Asia; reflections on opportunities for impact investing from leading investors in the three countries; and a networking reception with peers from local impact investing and wider financial communities. Over the past five years, the Asia Pacific region has been the fastest-growing impact investing market globally, the GIIN report said. Private impact investors (PIIs) and development finance institutions (DFIs) are drawn to the region, with especially high activity in the dynamic economies of Indonesia, the Philippines, and Vietnam. The Jakarta event featured reflections on opportunities for impact investing from leading investors in Indonesia. Indonesia is the largest impact investing market in South East Asia by number of deals and amount of capital deployed. The GIIN report noted that since 2007, 23 PIIs have deployed over USD 107 million into 54 deals. Six DFIs have made 43 direct investments totaling some USD 2.3 billion over the same period. “The country has a burgeoning entrepreneurial environment, with plenty of opportunities for impact investors to identify and support innovative start-ups committed to addressing the nation’s most pressing social and environmental challenges,” GIIN Research Director Abhilash Mudaliar said. The Philippines boasts the second largest impact investing market in South East Asia by the amount of capital deployed. Since 2007, 23 PIIs have deployed over USD 107 million into 54 deals. Six DFIs have made 43 direct investments totaling some USD 2.3 billion over the same period. “There is latent demand for impact investing from both wealthy families based in the Philippines as well as expatriates that remit capital back home. These actors engage in many philanthropic activities already, which indicates potential to bring them into the impact investing movement,” Mr Mudaliar said. Both the Philippines and Indonesia witnessed increased impact investing activity since 2014, supported by an increasing number of business support providers taking an impact focus. Vietnam also shows increasing market interest in impact investment, with nearly half of such impact deals made since 2015. Over 40 investors, business and finance leaders, and representatives of family offices and foundations took part in an exclusive discussion on impact investing in Vietnam. However, given limited seed-stage impact capital and few impact-focused intermediaries, sourcing investable deals remains challenging in Vietnam. Since 2007, 10 PIIs have deployed close to USD 26 million into 23 deals. Six DFIs made direct investments of some USD 1.4 billion into 50 deals over the same period. “Vietnam is a fast-emerging impact investing market, with nearly half the deals over the past decade taking place since 2015. Going forward, opportunities exist in financial services, healthcare, and education – reflecting the need for investments in basic services for the local population,” GIIN’ Mr Mudaliar explained. Moving capital with a gender lens can support a significant underserved market and create additional social impacts. An estimated USD 12.4 million has been deployed as debt into 20 gender lens investments in the Philippines. In Indonesia, three investors have deployed USD 27.6 million into nine gender lens investments. Three PIIs have deployed USD 3.3 million into four gender lens investments in Vietnam. The Manila event discussions centered on impact investment perspectives, issues and opportunities in the Philippines. Ms Rebecca Bryant, Deputy Head of Mission of the Australian Embassy in Vietnam, encouraged investors to use market-based approaches to solve development problems such as gender inequality. “If impact investors want to create stronger social impact – reaching deeper into untapped markets of developing countries like Vietnam, then they need to incorporate a gender lens into their investment strategy,” she said. 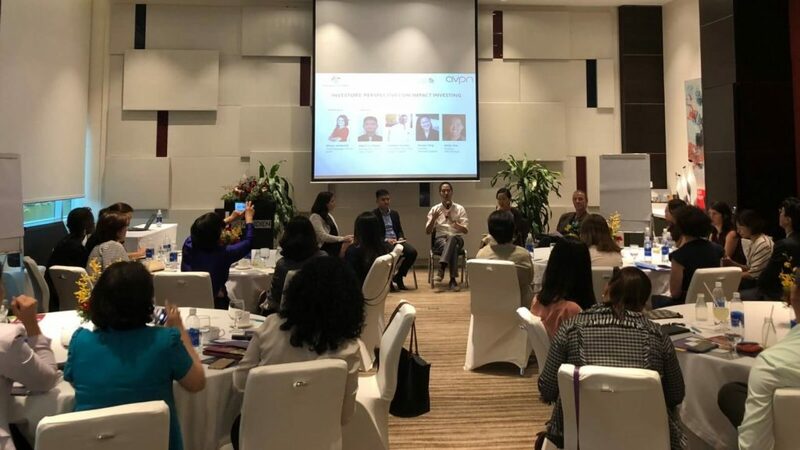 “Building an ecosystem for gender equality has never been more promising in Asia, and it is only through multi-sector collaboration that we can achieve this at scale,” said Naina Subberwal Batra, CEO and Chair of AVPN, a Pan-Asian network that helps social investors deploy capital effectively into the social sector. “With a membership of more than 500 social investors, 40% of which are supporting gender-related solutions, AVPN is in a promising position to break down silos across foundations, impact funds, corporates, and intermediaries, to share knowledge and best practices,” she added. 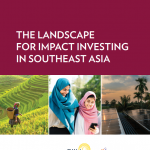 Download the full The Landscape for Impact Investing in Southeast Asia report here.